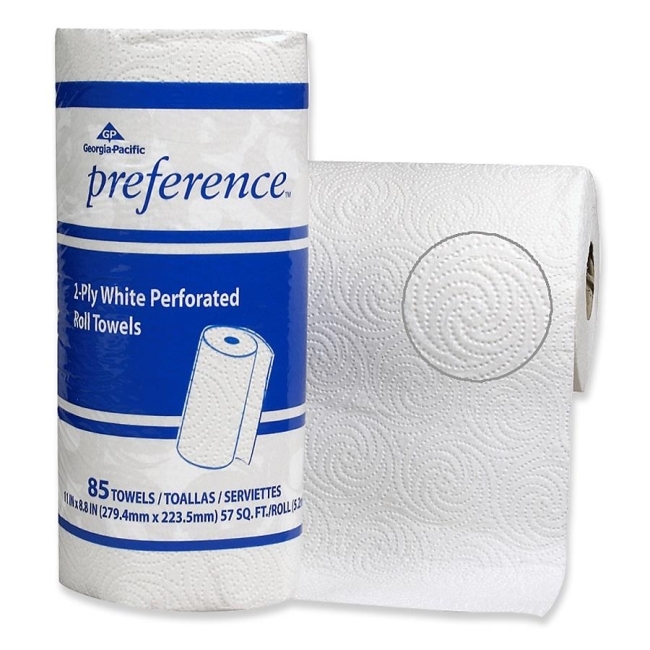 Full Size: 8.80" x 11"
Two-ply perforated paper towels on a roll offer reliable performance for everyday cleaning and wiping tasks. The full-weight, full-strength sheets are embossed for extra absorbency. Paper towels on a roll fit most PRT dispensers. Each roll has 85 sheets.